Founded in 1950 by Variety Clubs International, Nicklaus Children's Hospital is South Florida's only licensed specialty hospital exclusively for children, with nearly 800 attending physicians and more than 475 pediatric subspecialists. 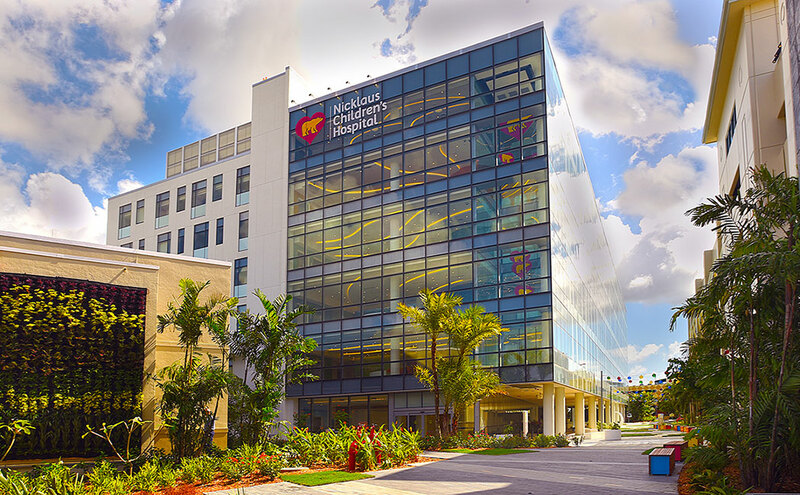 The 309-bed hospital, known as Miami Children's Hospital from 1983 through 2014, is renowned for excellence in all aspects of pediatric medicine with many specialty programs routinely ranked among the best in the nation by U.S. News & World Report since 2008. The hospital is also home to the largest pediatric teaching program in the southeastern United States and has been designated an American Nurses Credentialing Center (ANCC) Magnet facility, the nursing profession’s most prestigious institutional honor.